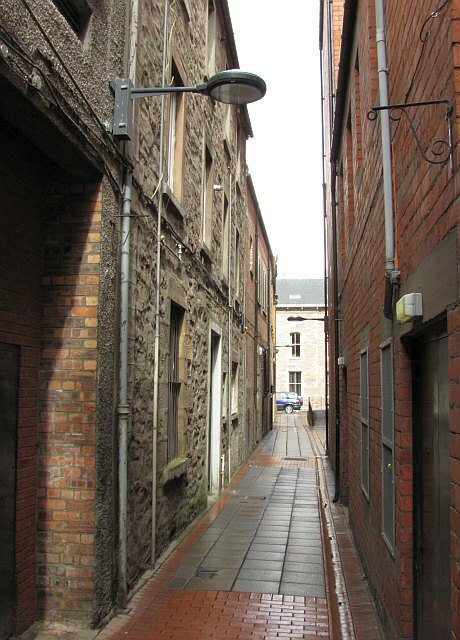 A vennel is a public right of way passageway between the gables of two buildings which forms a minor street. 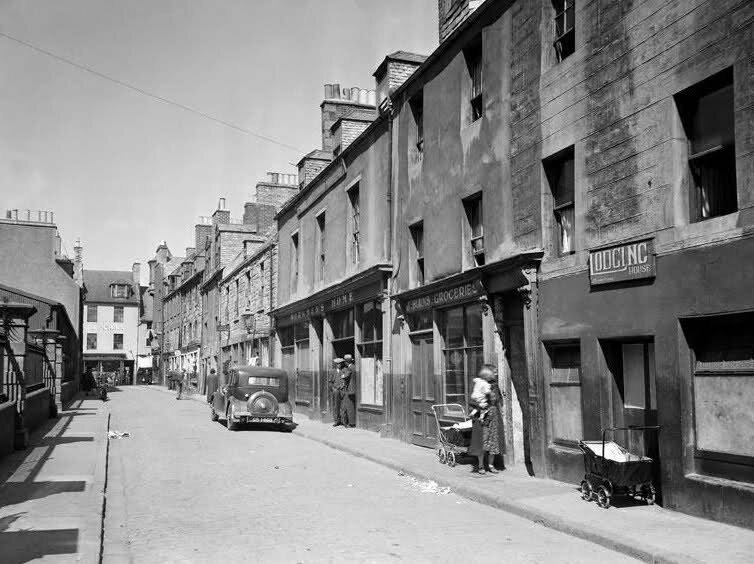 In Scotland, the term originated in Royal Burghs created in the twelfth century, the word deriving from the old French word venelle meaning “alley” or “lane”. In Perth there are a series of vennels that still remain and are used to move from the major thoroughfares of the city:, Cow Vennel, Baxter’s Vennel, Fleshers Vennel, Water Vennel, Cutlog Vennel, Oliphant Vennel, Meal Vennel and Guard Vennel. In 2016 as part of his role as urban design champion for the city, Wayne Hemingway MBE produced a design document that proposed that Perth’s vennels could become “evocative, attractive, artistic and cultural arteries that encourage exploration of the nooks and crannies of this beautiful city, link the main public thoroughfares of the city, perhaps taking visitors to the city centre to parts they haven’t been before, increasing dwell time and providing enticing spaces for an independent spirit to thrive“. The first of Perth’s vennels that is proposed to receive permanent design and artistic intervention is Guard Vennel which runs off High St and Mill St. Guard Vennel opens onto an interesting “left over”, forgotten and unused space behind W H Smiths and M & S which has been identified as a space that could form a small city centre public events space. 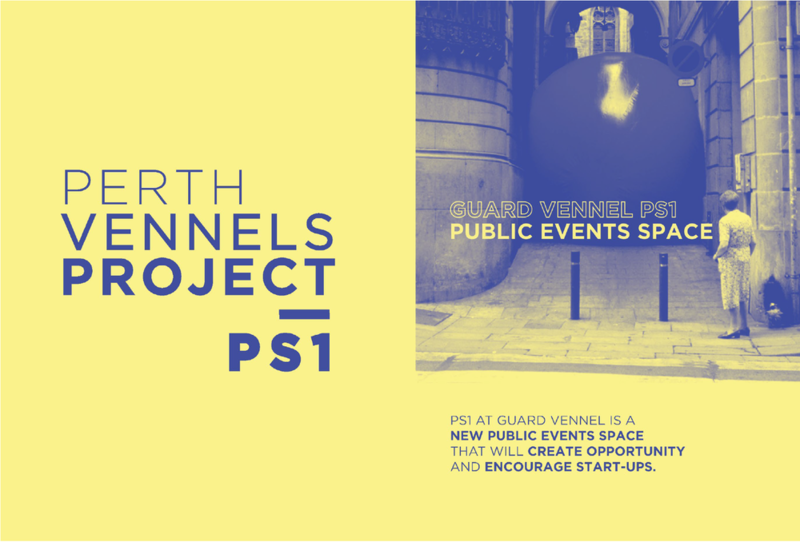 Guard Vennel Public Space (working title) is being designed as a low maintenance, self-sustaining “plug and play", “oven ready” space that can be used by residents, community groups, groups of friends, small events and festival organisers. Uses could include performance, art events, pop up cinema, and dance. There will be a container (or the like) on site that acts as a store for furniture and staging as well as doubling up as a servery / bar. Guard Vennel public events space also comes with a projection screen, 3 phase power and a simple and fool proof booking process and instruction manual/ online tool, which is being developed that will help those wishing to use the space easily navigate licencing, insurance and hiring in sound, projection equipment, any extra lighting and provide contacts to the best local street food and pop up bar operators. As well as being used by existing community groups and as a “fringe” venue for Perth’s existing festivals, it is hoped that Guard Vennel and the Guard Vennel public events space will create opportunity, encourage start up promotors and event’s organisers to “have a go”, stimulate entrepreneurial activity, all adding to the vibrancy of the city centre.